Cost £15 (including free transport from Oldham) Limited places. Leaving our start point at Malham the walk will take us via the lovely waterfall at Janets Foss. Foss is the old Scandinavian word for waterfall. 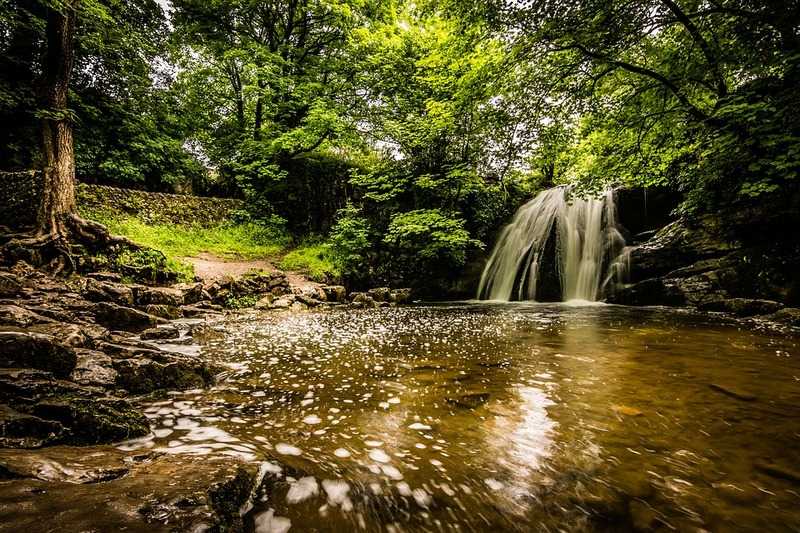 According to legend Janet, or Jennet was the Queen of the local fairies and lived in a cave behind the waterfall. The cave was formed by limestone bedrock being dissolved and eroded by the action of water and re-deposited on mosses growing on the lip of the fall. This has caused a remarkable but fragile tufa screen that reaches to the plunge pool below. 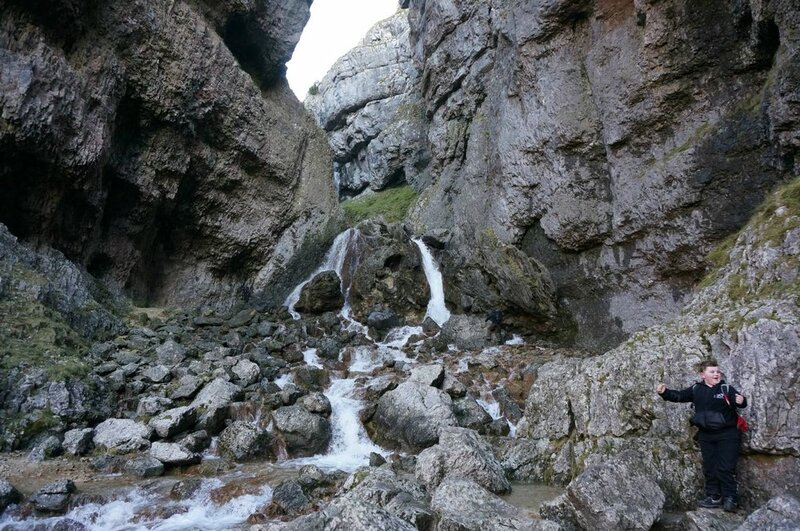 Onward to Gordale Scar, a narrow canyon towered on either side by sheer walls of rock, hundreds of feet high. Gordale Beck tumbles down the ravine, forming one final waterfall here over the tufa. Our route will now continue with a short, exciting scramble up the waterfall. From here we will continue for 2 miles to Malham Tarn which is one of only two natural lakes in the Dales, the other being Semer Water. Malham Tarn is a bit of a peculiarity in this limestone landscape, but lies in a shallow basin along a major geological fault on a bed of Silurian slate. 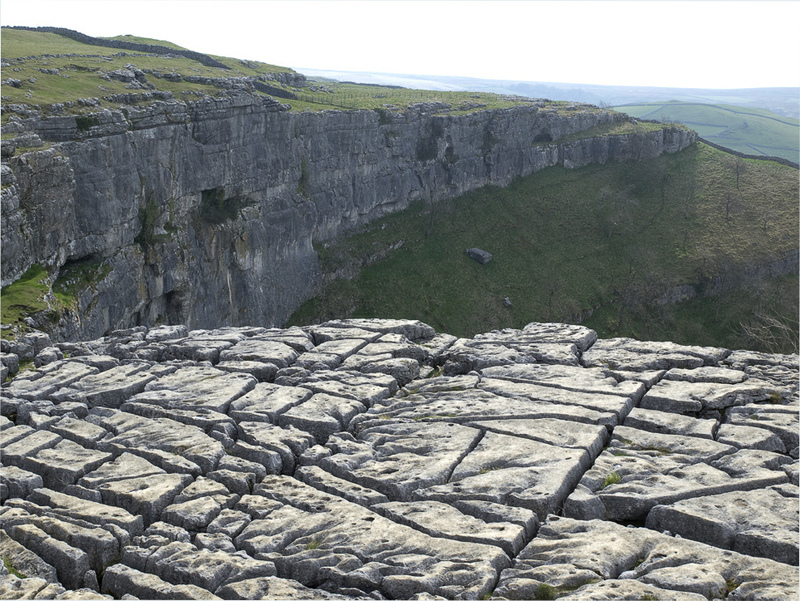 Finaly heading back to Malham we will save the best till last and eventually emerge on the limestone pavement above Malham Cove. Great care will be taken here crossing the clints and grikes of the limestone, and also in not going too close to the the edge of the 230 foot high cove! We will descend by a good path for the spectacular wiew of the cove. All futher information will be sent to participants before the walk event.